Let’s face, the unexpected will happen. Especially in the world of technology. Imagine you are a busy library and the power, or the internet, goes down. And now you can’t access your Koha server. What do you do? Go back to the Paper Age and start writing names and barcodes on pieces of paper? That’s pretty lame, right? 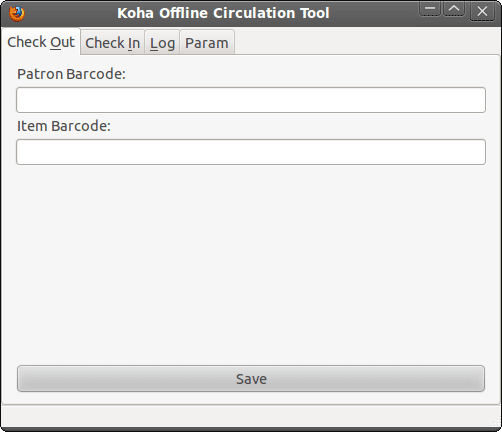 Well, Koha has a very handy and nifty tool for offline circulation called the Offline Circulation Firefox Plugin. In this tutorial, we will show you how to install this plugin into your Firefox web-browser, and use it in emergency situations. The process is simple and straightforward. Click Param – this stands for parameters. 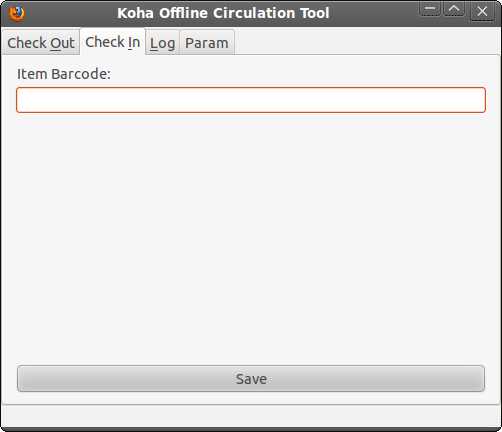 This is where you enter your Koha access credentials. 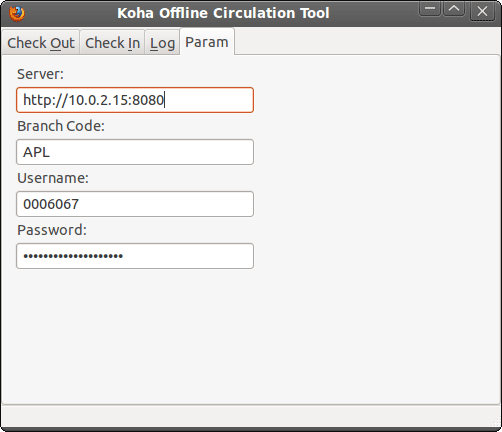 Under “Server” enter the full address of your staff login page of your Koha server. This can either be an IP address or the web address (e.g. http://admin.yourlibrarywebsite.com). You must include the http:// part. Under “Library Code” enter the branch code of your Library. You can find this in Home › Administration › Libraries and groups. Under “Username” enter the username of the staff client who will be circulating the items. Under “Password” enter the password of the staff client who will be circulating the items. To save the settings, close the KOCT plugin and open in again. You are now ready to circulate items offline. To check out, click on the “Check Out” tab. Click Save or press Enter after each entry. To check in, click on the “Check in” tab. The status for each of the items will change from “local” to “Added”. If the status remains on “local” then you probably have a problem with your parameters. Double check them. This however, is not recommended, as it will immediately check books in and out with giving you a chance to review them. 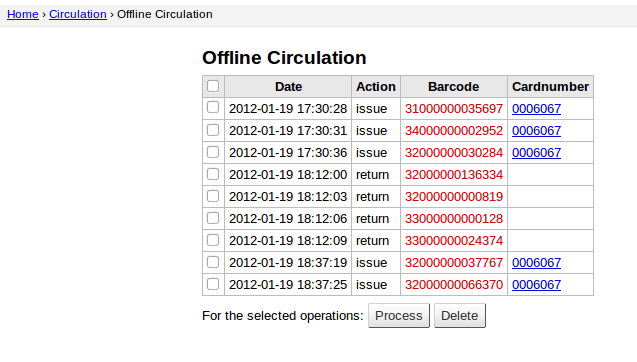 Reviewing is especially important when you are doing offline circulation on different machines. When connectivity to the server is restored, make sure you commit all your entries from all the stations that were circulating online. All your offline circulation entries will be time-stamped, which means if an item was checked out from Station A at 09:45:23 and then checked in to Station B at 09:46:38, Koha will apply the check out from Station A first, then the check in to Station B. Once you have all your entries committed, review and apply them by doing the following. The first column will tell you the status of the action e.g. success, patron not found, item not checked out etc. And there you have it! 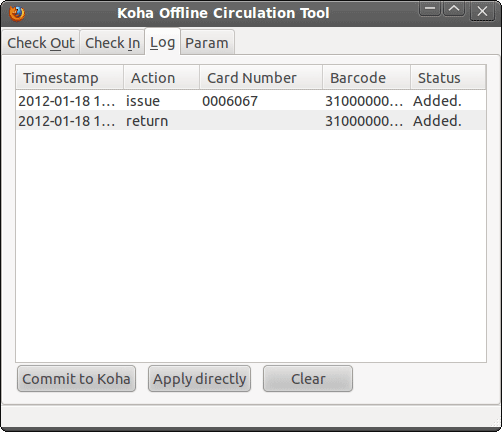 Even when you can’t connect to your server, Koha is smart enough to keep your library going. Do you have any questions, comments or suggestions about articles we must write? Let us know in the comments section below! And remember to subscribe and like us for the latest updates! What Is An Integrated Library System? Join our mailing list to receive the latest special offers and news updates from our team.